Using a piggy bank and with little to no effort, we saved enough money to help pay for a summer vacation in Vegas. 2013 is now behind us. Time to focus on 2014. 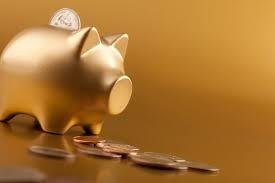 Financially speaking, one of the basic and first things you should do is have a piggy bank. This is in addition to your regular bank saving account. You don’t take piggy banks seriously or think they are only for kids? think again! Personally, piggy banks have been a great source of saving. They have helped me save and pay for some big purchases in the last few years, including major dental bills, vacations, car down payments, pay down debt and more. My latest piggy bank was born on January 1, 2013 and was retired on new year’s eve (Dec 31, 2013) Me and the wife put our spare change as well as some bills there, on a daily and weekly basis. We made it a habit to always put something, regardless of how small. The point was to be consistent with it. We also made sure that this was our second saving source and not the major one. It is a supplement to our major bank savings. When it was all said and done, our 2013 piggy bank had enough money to pay almost 70% of the total for our summer 2014 Vegas vacation. How nice and simple is that! We saved for a great vacation (flight and hotel accommodation) with almost no effort. We didn’t have to shed any sweat to save this piggy bank money. For 2014, we have already started our new piggy bank. It is clearly labeled ‘2014 savings’ and will most likely be used to book another vacation in 2015. Easy and effortless way to save for a vacation or major purchase. One of the five principles of good finance and budgeting that we preach about here on BudgetSense.ca is how ‘every bit helps’ and a piggy bank may sound like small effort but with enough time, you can save enough money to go a long way. Go to your local Dollar Store and pick a piggy bank right away and get started while it is still early in the year.